BATH, Maine — Photographer Heather Perry is best known for her dazzling underwater photography. Her images have graced the pages of magazines like National Geographic and Smithsonian, as well as newspapers including the Wall Street Journal, Boston Globe and New York Times. Now, Perry is wowing Mainers with a project completed on dry land, a few blocks from her home in Bath’s South End. It’s called Southgate Faces. 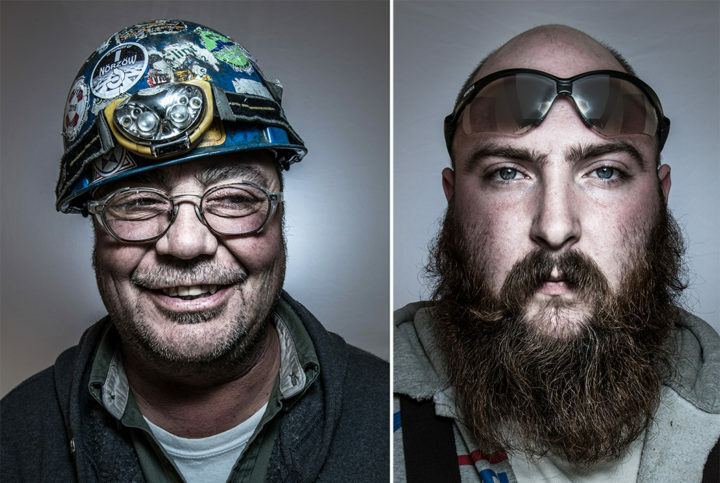 In collaboration with audiographer Hopper McDonough, Perry made a series of revealing portraits of workers outside Bath Iron Works’ South Gate. The close-up, unflinching color photos are accompanied by interviews McDonough conducted as Perry made her pictures. The pair started the project in 2016 and worked on it for more than a year. A few days each spring and fall, when their schedules allowed and the weather cooperated, they set up a makeshift photo studio across from the shipyard’s South Gate. Then, they’d coax workers on their lunch breaks to sit for a picture. Heather Perry and Hopper McDonough stand outside their makeshift photo studio near BIW's south gate. The idea for their project came from the fact that both Perry and McDonough lived near the yard but knew nothing about the men and women who worked there. They simply wanted to know more. Interacting with workers on a one-to-one basis seemed like the best way to get to know them. The photos and audio interviews are currently on display at the Frontier Cafe on Brunswick until Feb. 10. Perry will give a public talk about the project at the Portland Camera Club on Monday Jan. 28 at 7 p.m. at the Woodfords Club. The Bangor Daily News sat down to talk with Perry about Southgate Faces last week at her home in Bath. Q: How did you get permission to do this project? Every time I get my camera anywhere near the shipyard, the police are there, asking me what I’m doing, in like two minutes. A: I know! Which is amazing because now anybody with an iPhone can walk across the bridge and get a picture. When my son was about three [he’s now 13] I wanted to get a photo of the workers coming out of the gate. So, at 3:20 p.m. I said, “Get on your tricycle,” and we went down there and stood across the street with my camera. Security was like, “You’re going to be arrested,” and my son — that poor kid — is still scarred from it [laughing]. He thought the police were going to arrest his mother. Q: So, you must have approached the management before you started. A: We ended up using two parking spots right outside Fiona’s Diner, which is directly across from the South Gate. It was kind of a rigamarole to set this up. We’d have to grab the two parking spots in the morning — so we’d park both our cars there at six o’clock in the morning, then walk to my house. At 10:30 a.m. we’d walk back down, we’d move my car and set up the photo studio — and the cops didn’t give us a hard time about it, and we got [Fiona’s Diner] on board, too. 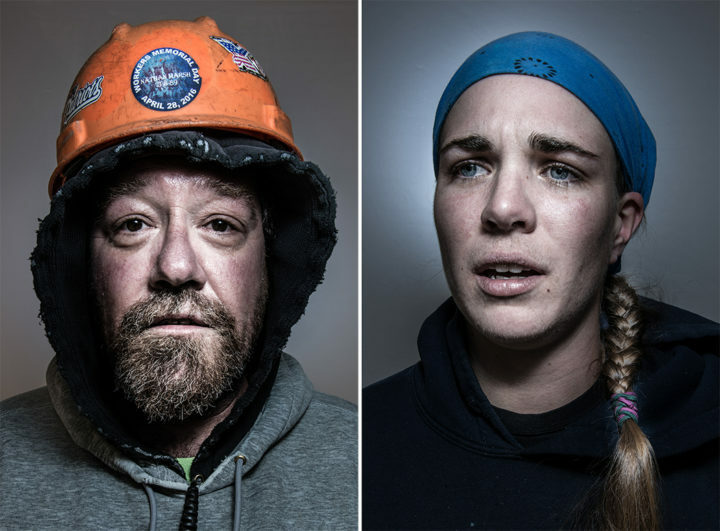 "Roger," a rigger (left) and "Jenna," a ship fitter are two of the Bath iron Works shipbuilders Heather Perry and Hopper McDonough met, photographed and interviewed outside the south gate in Bath. Q: So after all that hassle, was it hard to convince the workers to let you take their pictures? They don’t have a lot of time on their lunch breaks. A: Most of the people we got were actually smokers. A lot of workers take their lunches in the yard but they can’t smoke in the yard. We bought gift cards for lunch at Fiona’s and we gave every single person [who sat for us] a gift card. It was just about persistence and getting them familiar with seeing us there and building trust. I’d say 65 or 70 percent of the ones we asked said yes — but some I had to work on for weeks. "Dan" (left) and "Devin" are both pipe fitters at BIW. Heather Perry photographed them outside the yard's south gate. Q: What did you tell them was the purpose of the project? A: [We’d say], “These are some of America’s last manufacturing jobs. So who are you? We just want to know who you are, just want to have a conversation.” We wanted to be very careful that this wasn’t like us going to the zoo. We weren’t coming down there to gawk. Like, look at the welders, look at the blue collar workers. We weren’t trying to turn it into: Look at the noble, dirty [working men]. It was really about listening to someone that I don’t have any interaction with at all — and the way I do that, is with a camera. Heather Perry (right) and Hopper McDonough met, photographed and interviewed shipbuilders outside Bath Iron Works' south gate. 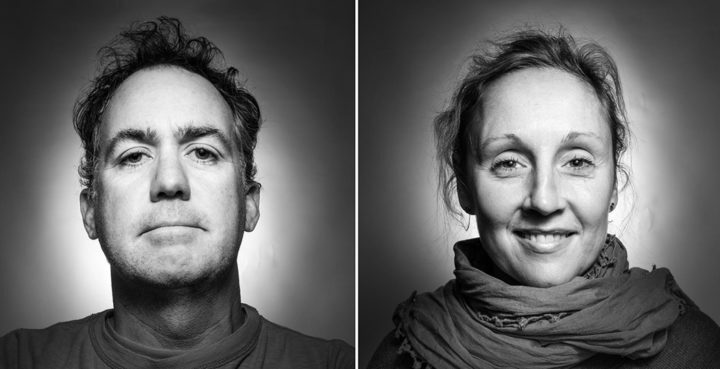 Their exhibition, Southgate Faces, is currently on display in Brunswick. Perry will give a talk about the project in Portland later this month. Q: What’s one of your big takeaways, now that you’ve had that conversation? A: I learned that — and this I’m not proud of this — I made some assumptions going into this. I try not to, as a journalist, but I thought: Because I don’t want to weld, or because I don’t want to grind rust off of metal all day long, this is a job you take because you have to. What a [horrible] thing to think. Who the hell am I? Why would I think that? This is the problem that we’re dealing with in this country right now. They all, pretty much, love their jobs and what they do. And it’s not just about the security that they feel. 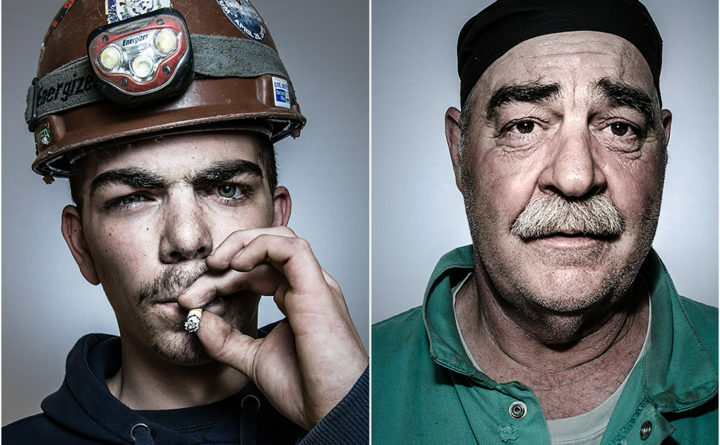 They love to weld and they love to grind paint and they love to build warships for America. They feel a huge sense of pride and a huge sense of purpose that’s desperately missing in a lot of this country.